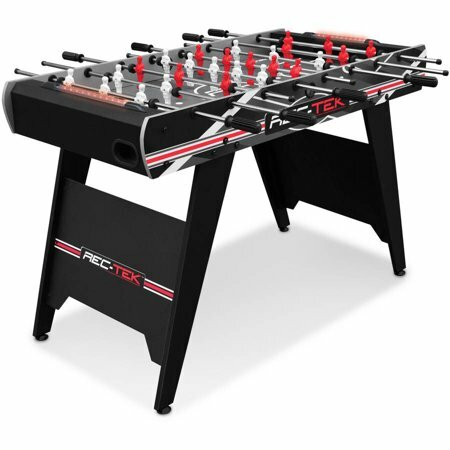 Walmart has the Rec-Tek 4' Foosball Table Soccer with Automatic Light-Up Scoring on sale for just $59 (regularly $94.95). Get the game going in just minutes with easy setup and construction! Complete with durable steel player rods and comfort grip molded handles, create the perfect opportunity to strike the ball into the back of your opponent's goal! Light-up the scoreboard with automatic LED scoring. The lights above the goal glow as they keep score for you.